A new study shows that the roots used by three close species of microscopic Daphnia crustaceans to settle across the territory of Northern Eurasia differed greatly. The findings shed light on how continental freshwater fauna formed. The results are published in PLOS ONE. Branchcrus crustaceans (Cladocera superorder), live mainly in freshwater bodies. These microscopic animals are model objects of evolutionary biology, genetics, ecology, and other areas of the biological sciences. Most studies focus on crustaceans of the genus Daphnia. Despite being the most famous and widespread, Daphnia still holds some mysteries for biologists. For example, the distribution pattern of these crustaceans in Eurasia has been unknown so far. One of the reasons was lack of studies on the vast territory of Siberia. Recently, Russian scientists collected several species of crustaceans in Siberian waters and examined them in order to learn more about the history of their settlement in the continent. Three species of Daphnia found throughout Northern Eurasia were selected for the study: Daphnia galeata, D. longispina and D. dentifera. Samples of crustaceans were collected in 35 ponds of the European part of Russia, Eastern Siberia, the Far East, Austria and Mongolia. All animals were photographed before the study in order to preserve data on their appearance, and then the DNA of some of them was extracted. Genetic comparison of populations from different regions was based on two mitochondrial genes. Mitochondria are small "energy stations" of a cell. Mitochondrial DNA in all animals is transmitted only through the maternal line, while the DNA of the cell nucleus combines the genetic material of both parents. Therefore, the kinship between different populations is easier traced using the mitochondrial genes rather than the genes from the nucleus. The data gained during the study was finally compared to the GenBank international database. The scientists identified differences in DNA in different regions of Eurasia and determined the genetic differences between populations and the approximate time of their divergence. It turned out that despite the proximity of the three species, they were differently settled in northern Eurasia. D. galeata spread in the region very quickly and relatively recently. The species D. longispina and D. dentifera were genetically very heterogeneous. The researchers concluded that during the Ice Age they survived in fragmented populations in the so-called refugiums (shelters) in Eastern Siberia in strong isolation from each other. As a result, each species have a strong genetic diversity. "In this study, we applied phylogenetic and phylogeographic approaches, based on genetic data from native lines, which reveal the links between them and reconstruct the history of species spread through the whole European Union," says Alexey Kotov, the leading researcher at the Institute of Ecology and Evolution, and member of the Russian Academy of Sciences. 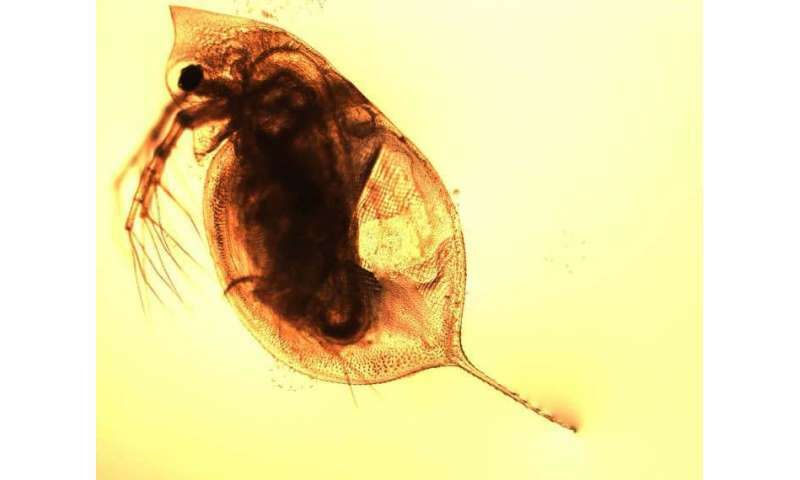 "Although Daphnia genus is the most convenient model object for such works, we plan to study the demographic history of other genera of branch-crustaceans, as well as some other microscopic animals of continental water bodies. All these studies help us to create a single picture of what historical processes shaped the modern biological diversity of Northern Eurasia."